If you have not heard the news already, a big shake-up is taking place in the automotive world - John Krafcik, the leader of Hyundai's operations in the US and considered one of the more visionary leaders among major automakers, is stepping down come January 1. Krafcik's tenure at Hyundai saw the Korean automaker go from selling mediocre cars that competed by selling for a lot less to a truly global automaker that now produces cars that are not only competitive, but downright world-class and in some cases, are class-leading. This kind of total image shift is something that few automakers have managed successfully and fewer still have managed so effortlessly as Hyundai has with Krafcik at the helm. Krafcik has overseen the launch of the wildly popular Sonata and the transition of the Genesis sedan from a home market only vehicle to a truly global product. A completely redesigned Elantra has made huge waves in the compact car market by showing the world that cheap does not mean you cannot have a little style. And the funky Veloster redefined the subcompact segment with its unconventional looks and door arrangement. To be fair, it hasn't been all favorable. In fact, Hyundai just recently settled with owners of various models for overstating EPA fuel economy figures that most drivers found unattainable. For our final test drive of the year, I opted to select a car from a brand that is near and dear to my heart. 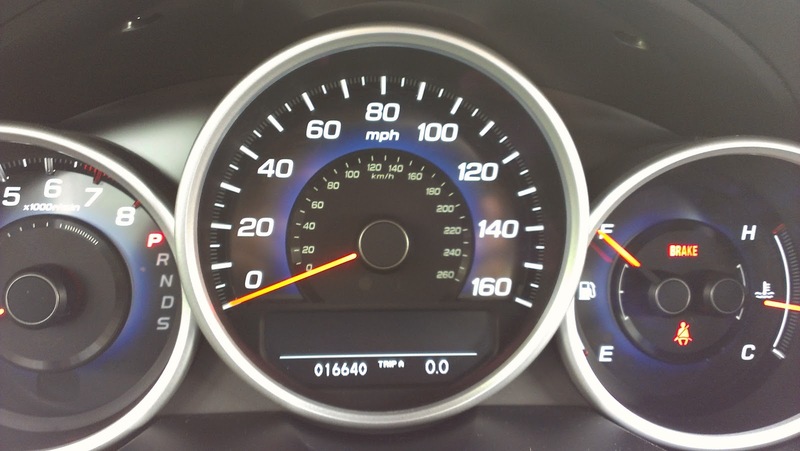 As a long time owner of Acura cars, my 2012 TSX being the fifth Acura I have personally owned, I have always followed the brand closely and frequently return to them when I am seeking a starting point when searching for a new car. Therefore, you can imagine my disappointment when the initial version of the 4th generation Acura TL was released, the prominent beak overshadowing all other design aspects of the car, which carried a muscular profile that nobody cared about because of that grille. For 2012, Acura made a course correction and toned down the styling of the TL for its mid-model year change, resulting in a rather more conventional, but significantly more handsome version of the now signature Acura look. It had been a while since I had taken the 4th generation TL out for a spin and I had yet to drive the 6-speed manual transmission version with Acura's utterly brilliant super handling all wheel drive (SH-AWD) system. It is hard not to draw comparisons of this car with the 3rd generation TL Type-S that I owned back in 2008. That car had the strongest motor in the TL line-up at the time, putting out a claimed 286-hp to the front wheels and, if you had the manual transmission (which of course I did), a limited slip differential. That car is still, to me, the one that got away and I regret ever agreeing to sell it. Despite being FWD, it handled surprisingly well and was extraordinarily well balanced between comfort, performance, luxury, reliability, and cost. Coming into my test of the 2014 TL, I was expecting Acura to deliver once again on this formula, given its past success, but I would leave feeling more than a little let down. Happy Holidays from East-West Brothers Garage! 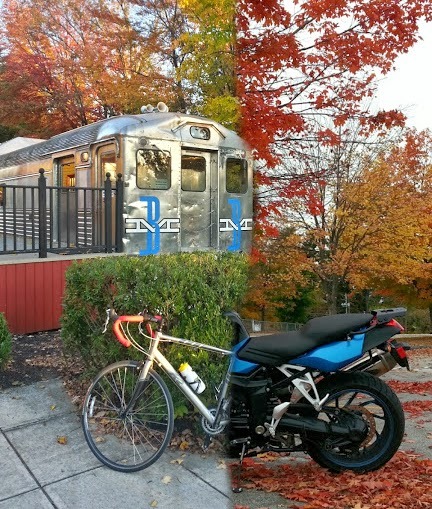 To start, thank you to all of those readers who have continued to support our efforts to bring you a balanced look at how cars, motorcycles, and bicycles are a part of our transportation landscape. We hope everyone has a safe and fun filled holiday season and is able to enjoy some time with (or away from, if that's your thing) family. For Christmas this year, we take a look back at some of our favorite vehicular gifts that we have received over the years whether they are gifts given to us by others, ourselves, or even just surprises we have encountered over the years. Here is what we enjoyed the most. I think the best gift I have gotten for my car over the years I have owned it has to be a brand new soft top for $100, including installation. When I bought my car nearly four years ago, there was a small hole developing near the soft top support beam on the right side of the car. What started as a tiny tear eventually turned into a three inch long gash that only got bigger each time I opened the top. I was able to mitigate the tearing with a vinyl repair patch, but it looked ugly. After some digging around on the internet, I found a recall for the soft top that addressed the very tear that plagued my car's soft top. I brought my car into my local Honda dealer along with the recall. Since my car's warranty had already expired, I was expecting a repair total of at least $1000. However, due to my family's long time Acura loyalty, Honda approved the repair for only $100. Naturally, I was ecstatic. My car now has a brand new top and looks better than ever! My favorite gifts to myself frequently are two-wheel related and usually in the form of rental time on a motorcycle as my own bike is stashed away on the East Coast while I am out in gloriously sunny Southern California for the holidays. In the past, that has been the GSX-R 750 that I rode around some of the best roads in the Angeles National Forest as well as a Ducati Monster that I took to visit my alma mater while I in the area. This year, time simply does not permit me to rent a motorcycle, but I will be getting some time with the excellent Brammo electric motorcycles soon. As far as bicycling gifts go, this year my wife has graduated to her first road bike after many decades of riding various cobbled together hybrids. She has only taken a single ride on it so far, but loves the fact that it is significantly lighter than the bike she rides on a daily basis. For me, I got my Shogun 300 bike all fixed up and picked up a new pair of pedals for it along with a new pair of mountain bike shoes that look a lot like regular sneakers to allow me to get around town without looking like a total bike nerd. Looking forward to taking advantage of the warmer climate to get in some extra training miles before I am once again stuck on the indoor trainer back home on the East Coast. With Acura TSX production ending in December 2013, the ILX taking up position as Acura's entry level sedan, and the current generation of the TL ending its run, Acura needs a sedan to slot into the position left empty by the TSX and TL. Enter the all new Acura TLX. This is the car that Acura is setting up to compete against rivals such as the Lexus IS, Mercedes C-class, BMW 3-series, and Audi A4. The TL and TSX have, in their own ways, been excellent cars and we here at East-West Brothers Garage certainly hope the TLX will combine the best ingredients of both for a truly amazing sport sedan. With the announcement that Acura will be debuting the TLX prototype at next month's North American International Auto Show in Detroit, that got us wondering what the TLX will include. 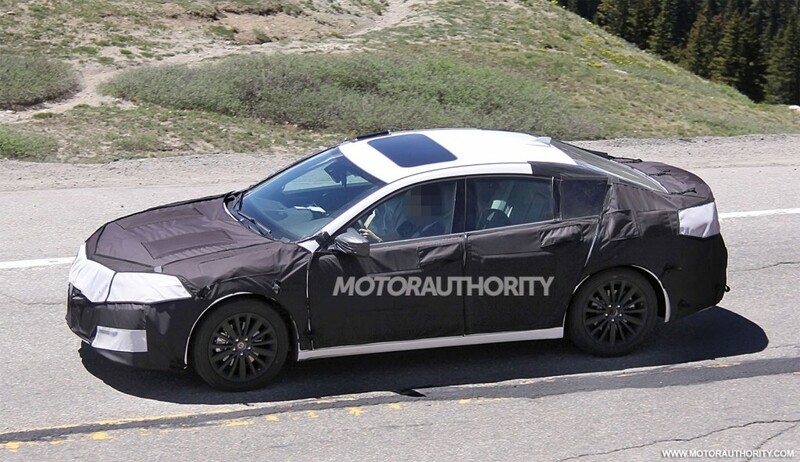 In their press release, Acura has stated that the TLX will introduce two all new powertrains to the Acura lineup. This does not necessarily mean the TLX will only have two powertrains to choose from. We are expecting Acura to introduce multiple trims for the TLX, with a healthy number of powertrain options. Here is what we would like to see as those trim and powertrain options. 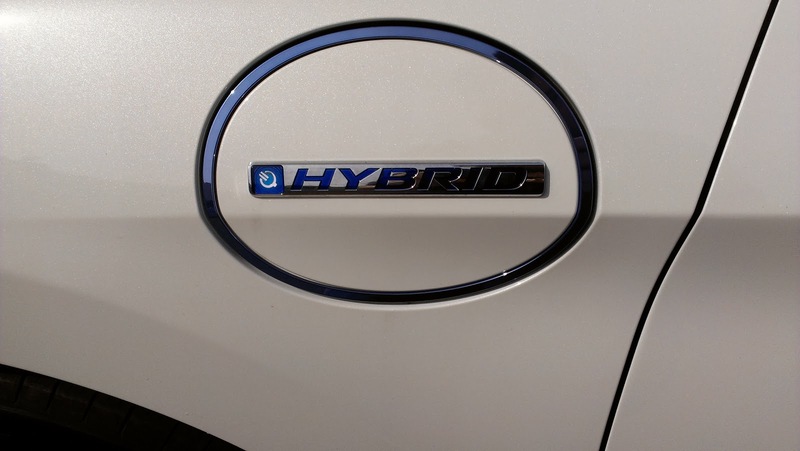 As I have oft-stated, I am not a fan of hybrids. I always feel like they are too compromised, especially when it comes to performance and driving dynamics. Considering that many gasoline powered cars have reached a point where they are able to achieve extremely good fuel economy, some which rival the economy of the hybrids, the loss of performance that comes with the hybrid simply does not seem justified. However, as a fan of alternative fuel vehicles, I was intrigued when a few years back, Honda introduced a concept 2-door hybrid in a tiny package. The CR-Z, which carried a silhouette reminiscent of the sporty and hilariously fun CRX of the late 80s and early 90s, had the potential to deliver on its promise of making a hybrid that was fun to drive, easy on the wallet, and practical too. 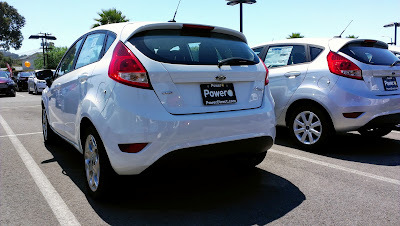 The specs were far from encouraging, however, with the combined output noticeably anemic in comparison to other sporty subcompacts in the segment, most notably the funky looking Veloster, but the bantam weight 2-seater had a lot going for it in the way of instantly available torque from its electric motor. Would the CR-Z be the one to change my long-standing critical stance on hybrids? Upon touching down at SEATAC, my preconceptions about Seattle seemed like they were going to be shattered. The sun shone brightly in the sky and a warm breeze ran through my hair as I exited the terminal. Clouds were visible on the horizon, but none were dark enough to indicate rain. Hopping on the rental car shuttle, I was looking forward to my first trip ever to Seattle, keeping my fingers crossed that I would be able to find a suitable vehicle to accompany me for the trip. My stay was to be brief - a client meeting that afternoon, some time on my own, capped off with a drive from Seattle to Portland, OR where I would be staying for the night. All in all, the trip would be two solid days of hours spent on the road, although luckily I would be able to connect with a friendly face in Portland for lunch before departing from PDX on a flight home. Arriving at the rental car facility, I skipped the counter (thank you National Car Rental for your Emerald Aisle program) and headed straight down to the cars to scout out my options. Having just recently driven a Ford Fusion, I decided to skip those, which eliminated about a dozen cars. Next car I came across was a Dodge Stratus - pass! Behind me, the horde of people that had been on the rental car shuttle with me had started to make their way down to the cars and I knew I would have to pick soon or be stuck with the dregs. Continuing down the aisle, I finally came across a wine red Hyundai Sonata. Winner! I quickly placed my luggage in the trunk and got settled in, seat adjusted, phone synced, and ready to go. December 14, 2013 marks the final day our Forged Silver Metallic, 2011 Acura RL Tech spent with our family. This RL, the second one we have owned, has served us well for the last three years. Besides a very minor paint quality issue I noticed when we picked up the car (which was fixed under warranty), the car has been trouble free. What surprised me most was the fact that the transmission did not suffer any issues and was not recalled for any problems. It is an odd thing to be surprised about, but considering Honda's history on rolling out new transmissions, the fact that there were no problems left me a touch amazed. Some people look for pure speed when buying a car. Others look for nothing but total luxury and comfort. Others still want nothing but the ultimate driving experience. But what if you could find a car that combines all of these traits. Imagine a car that offers excellent power combined with superb handling and wrapped in a high quality leather-swathed package with room for 4 adults and their luggage. Even better if it comes available with a manual transmission. There are only a small handful of cars that fit such an exacting and rigorous set of criteria and the current generation Audi S4 is precisely one such car. In the past, Audi's A4 platform offered many of the desired traits, but was too small to comfortably seat 4 adults for anything longer than a run to the local pub or organic grocer. The up-rated S4 models, which sported everything from turbo-charged six cylinders up to a high-revving V8, heaped on mountains of power and improved the handling, but could never address the fact that the backseats were nearly useless for anyone larger than a preteen. However, with the introduction of this latest platform, Audi took the extra measure to stretch the wheelbase enough to offer what is finally usable legroom for rear seat passengers. Add to that a typically Audi interior layout, the all new supercharged V6 motor, and, of course, the latest version of Audi's ubiquitous Quattro AWD system and what you have is one of the most balanced cars available on the market. But, is it good enough to justify its nearly $60k pricetag? With more and more electric cars hitting the roads, public charging stations are popping up almost as fast as the cars are being sold. However, with only about 6,800 public charging stations available in the United States, charging your electric car away from home is not always an easy proposition. 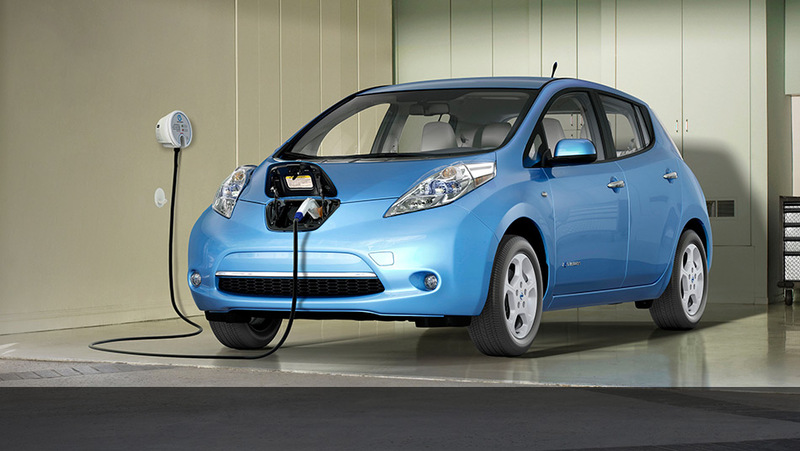 Such was the case for Nissan Leaf owner Kaveh Kamooneh. Kamooneh plugged his Nissan Leaf to an external outlet at a Chamblee, GA middle school where his son was taking part in a sporting event. After charging his car for only five minutes, a police officer approached and asked whether Kamooneh had permission from the school to be using the outlet. Kamooneh noted that there were no school staff around at the time, and the officer accused him of stealing. Kamooneh was arrested at his home 11 days later, and was forced to spend a night in county jail. How much electricity did Kamooneh actually steal? Reports claim a paltry five cents. According to a Chamblee police sergeant though, the amount did not matter. The sergeant claims that the fact Kamooneh was stealing was what mattered. Because there is not an abundance of electric car charging stations across the nation, there may come a time in an electric car owner's life where they will need to charge their car at a stranger's home, a store, or, in Kamooneh's case, a school. Until the infrastructure for public charging stations can be beefed up, it would seem there needs to be some sort of social protocol regarding charging an electric vehicle outside of a public charging station. So I ask you, dear readers: what do you think the social protocol for charging an electric vehicle with someone's electricity should be? Should we really treat this any differently than someone plugging their iPhone into a public outlet for a quick boost? Do you think an electric car owner should be able to just walk up to an outlet in a public area and plug their car in without permission? Is that really an offense that someone deserves spending a night in jail for, especially for such a minuscule amount? Let us know what you think in the comments below. With just over 23,000 miles, the K1200S has been nearly flawless. The power is still utterly intoxicating, offering speed on demand anytime I want it. The versatility is amazing, as I have used the big Beemer for everything from canyon carving in the mountains of New Hampshire to picking up groceries from at the Chinese grocery store in Downtown Boston to day tripping down to Cape Cod for whale watching. In every situation, the bike proves that it is capable of everything I have to throw at it and I continue to explore the limits of its usability. 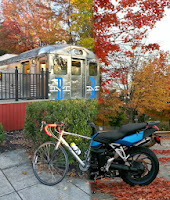 As I ride pretty much year-round, it has experienced temperatures ranging from well down into the low 30s all the way up to well into the high 90s. No matter what the temperature, the bike is comfortable and offers a sense of stability and security that my much smaller Kawasaki Ninja 650R was unable to provide. AGM model used on current BMW motorcycles more than cured the issue. I have also taken to pulling the battery and storing it on a trickle charger anytime I expect to be unable to use the bike at least once every 2 weeks. The battery issue also created a minor problem with the electronically adjustable suspension, causing the damping setting to get stuck. Luckily, it was stuck in SPORT mode so I was still able to really enjoy the ride, though I do admit that I missed the other damping options on some of the longer trips. In July, when I had the bike's inspection brought up to date, the mechanic doing the inspection notified me of a few items that needed to be addressed in the near future if the bike was to remain safe on the road. This is what prompted my detour to MAX BMW during the Kancamagus Highway trip. While I did not get the service performed that day, I did collect enough information to feel confident that these were the guys I wanted to use when it came time to have the service done. To say that the CTS is an important car for Cadillac is a bit of an understatement. The last generation CTS became the bread and butter car in Cadillac's line-up and was one of the early signs of a struggle for life from a then disintegrating GM. This 3rd generation car needed to do a number of things for Cadillac: one, grow the CTS to properly compete with the BMW 5-series and Mercedes E-class; two, continue to expand and improve Cadillac's reputation for performance as established by the recently introduced ATS; three, demonstrate that Cadillac has been listening to its customers and fix the issues of the previous generation cars. With its recent string of successes in the form of the ATS, Impala, and Corvette, GM approached the redesign with great care and what has resulted is honestly a genuine piece of art. But as good as it looks, can it really go toe-to-toe with the established German competitors? The morning was cool, water droplets still littered the lawn and the previous night's rain had yet to fully evaporate, leaving the pavement slightly damp to the touch. Nonetheless, I grabbed my gear and mounted up, the K1200S purring along smoothly as I hit the highway, headed towards NH. As I rode, the temperatures began to rise and the roads had dried off, allowing me to open up the big Beemer's motor and really stretch its legs. Settling into a rhythm, music playing through the speakers in my helmet, I cleared my mind as the lane markers flashed by beneath me. With one slightly extended detour to check out MAX BMW while I was in the area, I arrived in the tiny hamlet of Conway, NH right around noon. The holiday on Thursday meant a lot of people had taken this Friday off and the roads were crowded with all manners of cars, trucks, and motorcycles. Not having taken that into consideration when I left home that morning, both the bike and I were running on fumes by the time I pulled into town. Luckily, the main stretch in Conway offered both a place to grab some gas for the bike and some refreshments for me. Getting out of the mid-day heat, I camped out at the Sweet Maple Cafe for a bit to have lunch and do some work on the laptop I had been lugging around with me all morning. The bike fully fueled, my bloodstream coursing with caffeine, I stepped out into the hot afternoon sun and saddled up for an afternoon playing in the mountains of central New Hampshire. Every year during Thanksgiving weekend, auto manufacturers gather at the Los Angeles Convention Center to show off their new and existing wares. Though the Los Angeles Auto Show is not the largest auto show of the year, it still gets its fair share of world debuts. This year, 29 cars made their world debut at the LA Auto Show, with over 50 cars, including the world debuts and concept cars, making their first appearance at the LA Auto Show. The North American International Auto Show (which takes place in Detroit, Michigan) is the largest in the US and this year the LA Auto Show cemented its place as the 2nd largest auto show in what is easily one of the largest automotive markets in the country. 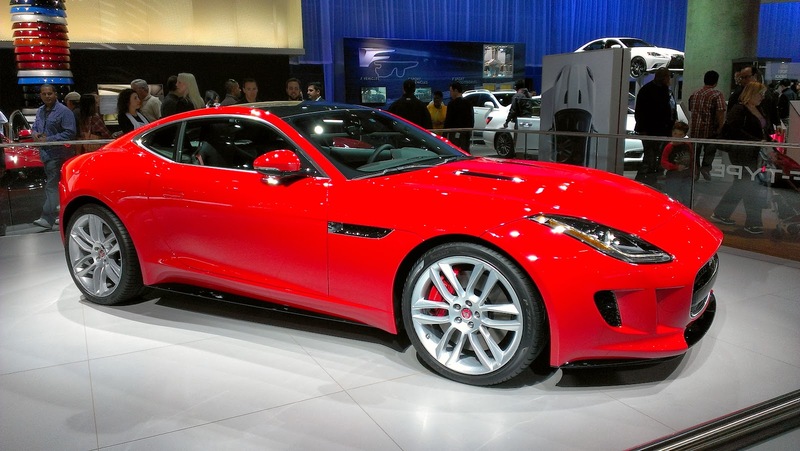 This year, I found the most exciting debut to be the Jaguar F-Type Coupe. East Brother test drove the F-Type V6S Convertible not too long ago, and really enjoyed it. The sounds of the engine, the excellent interior, and the overall feel of the car are definitely worth an experience. Now, with the F-Type available in coupe form, Jaguar fans in parts of the country with lousy weather can now too enjoy the amazing F-Type without having to worry about the elements destroying the soft top. While the F-Type coupe was definitely one of my favorites, click on the link below to view the rest of the highlights of the 2013 Los Angeles Auto Show, including the world debut of the Subaru WRX, Acura's RLX SH-AWD, and many more. The automotive world lost an icon today. Actor and famed gear head Paul Walker, best known for his role as Brain O'Conner in the Fast and Furious franchise, died in a car accident today in Valencia, CA. Walker was in the passenger seat of a Porsche Carrera GT leaving an event for his charity, Reach Out Worldwide, when the driver lost control of the car and crashed into a light pole and a tree. Reports have stated that the Porsche burst into flames after the impact. Walker and the driver were declared dead at the scene by fire crews. Walker himself was an avid car enthusiast, often taking part in the Redline Time Attack racing series. Walker was also well known for being the owner of a Nissan R34 Skyline GT-R V-Spec II, the same one which was featured in the second film of the Fast and Furious franchise, 2 Fast 2 Furious. Walker had been filming the seventh film in the Fast and Furious franchise, Fast & Furious 7. This is currently listed as his last film. East-West Brothers Garage offers our sincere condolences to Walker's family and friends. He will be missed. It is Thanksgiving and there is much to be grateful for. To celebrate, we wanted to take the opportunity to give thanks for all of the things that we have in our lives and the opportunities we had this year. I am thankful for the opportunity this year to have had a chance to drive a number of amazing cars, but none were quite as memorable as the Tesla Model S and the Jaguar F-Type V6S. Each of these cars still sticks in my mind as the funnest test drives I had all year. The upcoming coupe version of the Jag is going to be a blast and should be on everyone's shopping list next year. Tesla's impressive Model S sets the stage for the soon to be released Model X SUV and as yet unnamed mid-size sedan. I am also thankful that I got to participate in the Pan Mass Challenge this year. This was the first time I have ever done a charity ride and my first full century ride. Training for it motivated me to improve my cycling and focus on growing my skills as a cyclist. That has led to a lot more fun riding for recreation as well as for transportation and a greater appreciation of what it takes to be a cyclist year round. I am thankful to have met folks like Bronson Wright of Subaru Pacific. The Subaru BRZ was easily the most fun car I had test driven all year and thanks to Bronson, I was able to get the full experience of wringing out the car in a supervised test drive that most salesmen would never even think about doing. But it is not just the test drive I am thankful for. 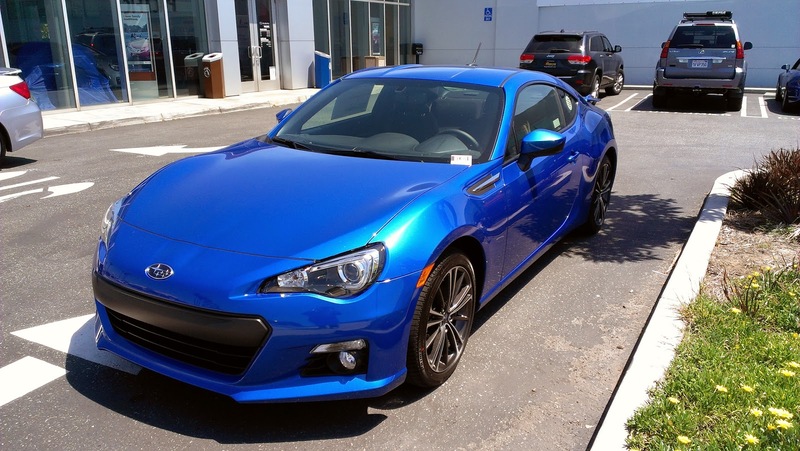 The Subaru BRZ, and its sister car the Scion FR-S, have injected life into a car segment that has been dying a slow and painful death. With the success of these two cars, I am hoping that other car manufacturers will now get their act together and put out more enthusiast oriented, reasonably priced sports car. This year, I am also thankful to have had the opportunity to visit the Honda and Acura Collection. This was an event that I had been looking forward to since the day the event was posted on Acura's Facebook page. It was great to be able to meet one of the long time veterans of American Honda, as well as get the history behind some of Honda and Acura's best known cars. It was also a somewhat sad event as well, as the collection tour served as reminder of an era of Honda when the company truly cared about its enthusiast following, and not just making money. Finally, we are thankful to have had the opportunity to share our experiences and adventures with all of you. We hope everyone has a great Thanksgiving with their friends and family. Gilded Age mansions are hardly my thing. The level of ostentation, to me, feels rather outrageous and plainly absurd. Of course, that made a trip to Newport, RI a must, especially since it is such a short trip from the Boston area. With its wealth of history, New England seaside culture, and great boutique bed and breakfast options, Newport is a great place to go just to spend a nice weekend away from the hustle and bustle of work and school. Packing up the TSX for a weekend, my wife and I made some dinner reservations, booked a room at a nice B&B for a couple of nights, and took a scenic drive down to the seaport town that was once the summer home for America's wealthiest robber-barons and politicians. Luxury is a very subjective term these days. It gets bandied about with near reckless abandon, applied to everything from pet supplies to apartment rentals to fancy cars. When it comes to cars, the mainstream manufacturers are moving ever increasingly upmarket, adding features that were traditionally the distinct purview of luxury car makers, blurring the lines ever more. In fact, companies such as Hyundai have taken the entire market and turned it one its head, offering the Hyundai Equus, a V8-powered RWD long-wheelbase luxury sedan with features that were once only found on chauffeur-driven cars such as Rolls Royces or the upper end of the Mercedes S-class range. So with the definition of a luxury car becoming increasingly unclear, what are some things that luxury manufacturers can do to differentiate themselves from the riff-raff and justify the extra expense? Here are a few ideas that I believe luxury manufacturers must do in order to maintain their standing and brand equity in the luxury marketplace and keep themselves from being overtaken by the invasion of mainstream manufacturers into their space. The Impala, once a fabled muscle car in Chevrolet's line-up, and available in SS trim with all of the performance goodies, was relegated during its last two generations of existence to a totally substandard front wheel drive platform that mostly saw duty as taxi cabs, police cruisers, and rental cars. It was much despised for its sloppy handling and packed about as much power as a lawn mower. Without even exaggerating, it was very likely one of the worst cars on the market. Chevrolet made an effort to spice things up a bit by shoehorning a 5.3L V8 motor, but it was woefully under-powered, offering about as much performance as the V6 of most competitors, and made the terrible handing land barge even more of a handful to get around a corner. Thankfully, that version proved so unpopular that GM promptly axed it, although not before having done a nice job of tarnishing the SS brand. When it came time to develop the all new 10th generation Impala, GM smartly went back to the drawing board and started over from scratch. They used a brand new platform, the Epsilon II that is shared with the all new Cadillac XTS, and did a clean-sheet redesign that incorporated the newest design cues from the brands recent resurgence. Under the hood, they added a slightly de-tuned version of the 3.6L direct-injection V6 motor from the Camaro and ATS and spent considerable time reworking the suspension to make the car feel more premium. Inside, the old interior was thrown out entirely and a whole new design was penned around the MyLink infotainment system, ensuing that all cars now have a 4.2-inch touchscreen display as the focal point of their dash. However, is all of this effort enough to push out the lingering impression of the rental car specials of the last two generations? Has GM done so much damage to the reputation of this storied nameplate that it cannot recover from its terrible mediocrity? After 18 months with the TSX, the car is still a joy to drive and has been dead reliable mechanically. Since I put very few miles on the car during most weeks, the majority of my driving is now coming in the form of longer road trips, usually for all too brief vacation stays on weekends to various places around New England. Combine that with the fact that during the warmer months trips tend to take place on my motorcycle, it is not hard to see why even after 18 months, I have not yet hit the 10k mark. The nice thing is that these longer trips really allow me too enjoy what I appreciate most about the TSX: the driving experience. From behind the wheel, the steering feels well-weighted, accurate, and is reasonably communicative for an electronic power steering setup. I do still miss the ultra-communicative steering of the two first-generation TSXs that I owned, but considering that there are fewer and fewer cars with traditional hydraulic power steering these days, this arrangement is one of the better ones. Of course, the 6-speed manual is one of the best in the business and offers crisp engagement, slick action, and short throws. Clutch engagement could stand to be a bit more pronounced, but on whole, it is great to be able to enjoy shifting for yourself. Suspension tuning is actually quite good, proving properly stiff for sporty driving, but compliant enough to be comfortable on long trips. Understeer is present, but not so pronounced that it interferes with driving on a regular basis, only rearing its ugly head when pushing the car hard or when the road surface is slick. Diesels and sport together seems counter intuitive. The oil burning motors are better known for providing superior torque for towing and superlative fuel economy in passenger cars. But when a manufacturer best known for its sport sedans throws its weight behind diesel motors, any enthusiast worth his salt has to at least sit up and pay a bit of attention. This is why I recently found myself behind the wheel of BMW's latest entry into the sport diesel market, the 535d. Combined with BMW's xDrive AWD system, the twin-turbocharged inline-six, this luxury sport diesel (that seems like quite a contradicting mash-up) seems to be the model that BMW is banking on as its volume seller in the 5-series line-up for New England. However, given BMW's reputation for providing excellent sport sedans, can a car that plays on so many contradicting ideas continue to deliver the ownership experience that make BMW's so popular with their buyers? Or is this just the latest in a long line of odd disappointments from what was once the most storied sport sedan manufacturer on the planet? Since its introduction in 1989, the Mazda MX-5, better known as the Miata in the United States, has taken on the stereotype of being the quintessential "hair dresser's" car. 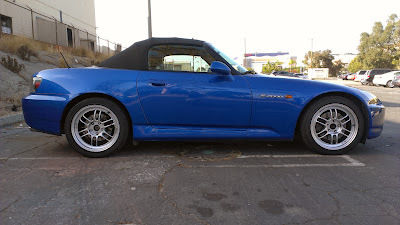 With it small body and cute looks, many people ignored the great driving qualities possessed by the Miata. This stereotype seemed to persist throughout both the first and second generations of the car. 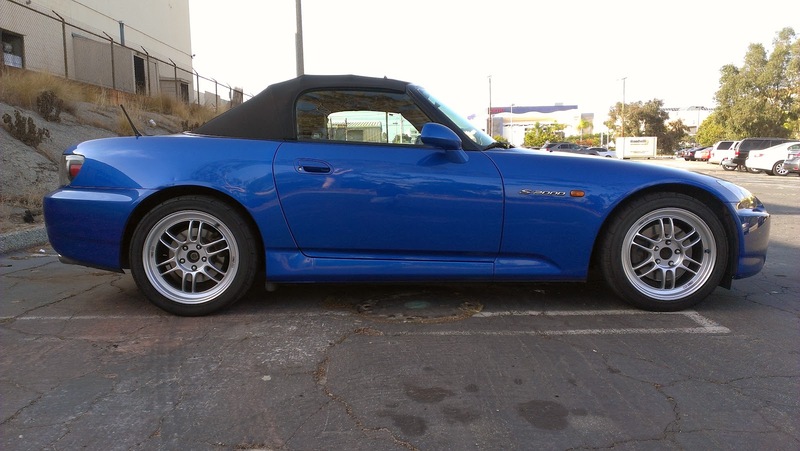 Mazda was able to partially shed this stereotype during the Miata's second generation with the introduction of the Mazdaspeed Miata, which came with a turbocharged engine, revised suspension, and aggressive aero parts. However, as the third generation Miata was introduced, the cuteness factor returned with the Miata's "smiling" front fascia. 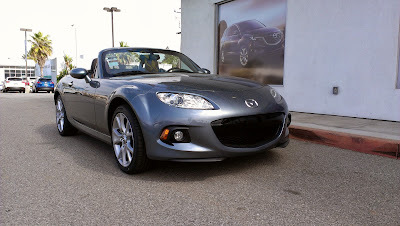 In 2008, Mazda gave the Miata a much needed refresh, which introduced a far more aggressive version of the "smiley face" front end. Fast forward to 2013. The third generation Miata has been on sale for eight years now, with minor face lifts and equipment changes along the way. For 2013, changes include another front end revision (this one more aggressive than the last few revisions), Bilstein dampers, new 17 inch alloy wheels, a bit of weight loss, and a whole host of other changes. The Grand Touring model I drove also includes a revised and more powerful version of the 2.0 liter MZR inline-4 engine. All these changes are supposed to make this one of the best and most aggressive MX-5 Miatas to date, short of the second generation Mazdaspeed Miata. Like many people, I learned to ride a bicycle pretty early in life. The basic skills came easily, like pedaling and steering, but things like balancing or more advanced skills, like jumping off of home-made ramps, took some time, and some injuries, to really nail down. However, once these skills were pretty well ingrained, there was not a whole lot of progress made towards furthering my biking skills, especially since it was largely recreational to me, having grown up in car dominated Southern California. That all started to change when I began to ride my bicycle more for transportation after moving into DC proper a few years ago. Conveniently, it also coincided with when I started to learn to ride motorcycles. Without even realizing it, there were a number of skills that I carried over from the motorcycle to the bicycle. Lexus has an aging problem. Its buyers tend to skew towards the older side and attempts to attract younger buyers with cars like the IS300, based on the Japanese home market Altezza, resulted in small surges of younger buyers. Unfortunately, those youngsters quickly left the brand due to a lack of suitable upgrade options within the brand as they got older, as they were still seeking fun cars to drive. The second generation of the IS went in an entirely more conventionally Lexus direction, focused on luxury and ride, with only the slightest of nods towards performance. However, just to throw a curve ball, Lexus also took the opportunity to introduce the F-Sport sub-brand to sell performance parts and even entire cars, like the absolutely bonkers IS-F and LFA. As Lexus has decided that drawing a younger audience is increasingly important, they have also sought a significantly edgier image with the aggressive predator-face spindle grille that is being applied across the line-up and a full-fledged push at a true motorsports division. All of this effort, intended to capture younger buyers, who are increasingly discriminating in their buying habits, may be for naught if Lexus's all new 3rd-generation IS fails to capture their hearts, minds, and dollars. So does the newest entry luxury sport sedan meet the high bar set to attract the moneyed youth to what has been a traditionally stodgy brand with squishy-driving cars? The Infiniti line-up has always been sporty and is oft considered the Japanese equivalent of BMW, offering performance oriented cars with a touch of luxury. It's volume seller of the last decade, the G sedans and coupes, were among some of the best driving cars among the Japanese luxury brands. In fact, I nearly bought a G35 and a G37 when each car came out, the only thing holding me back being the slightly sub-standard interior materials and the poorly executed manual transmission shifter and clutch. However, if you were looking at the cars with automatic transmissions, they really were fantastic cars to drive. However, to replace the G37, Infiniti has developed not only a whole new car, but has also adopted a whole new naming scheme. What was once the G37 is now the much more non-sensical Q50. However, a lot more than the name was lost in this transition. The new Q50 may be a step up from the G37 in terms interior quality, but seems to have sacrificed some of its sporting character at the altar of luxury. It saddens me to even compose this, but this study by the AAA Foundation seems to point towards more Americans taking bad driving behaviors less seriously that in past years. What worries me the most is not just that we are less aware of how these bad driving behaviors affect other drivers on the road, but the fact that an increasing number of individuals seem to suffer from "do as I say, not as I do" syndrome. The fact that there are so many people who are quick to condemn, but not alter their own behavior just goes to show the ever increasingly selfish streak that our society seems to be developing. I realize that I sound like a ranting, crotchety old man, but it frustrates me to no end because of how often I have recently had run-ins with people who were so inattentive or dangerous behind the wheel that they nearly caused an accident. The worst part is that this is entirely preventable. Another year, another Halloween, the one day a year, when it becomes appropriate to dress all in black and creep out your neighbors. To honor this most frightening of days, we thought we would take a look back at some of the scary moments we have encountered behind the wheel or in the saddle during the course of this year. Some of these were genuinely scary moments where genuine unease washed over us, while others were merely close calls. 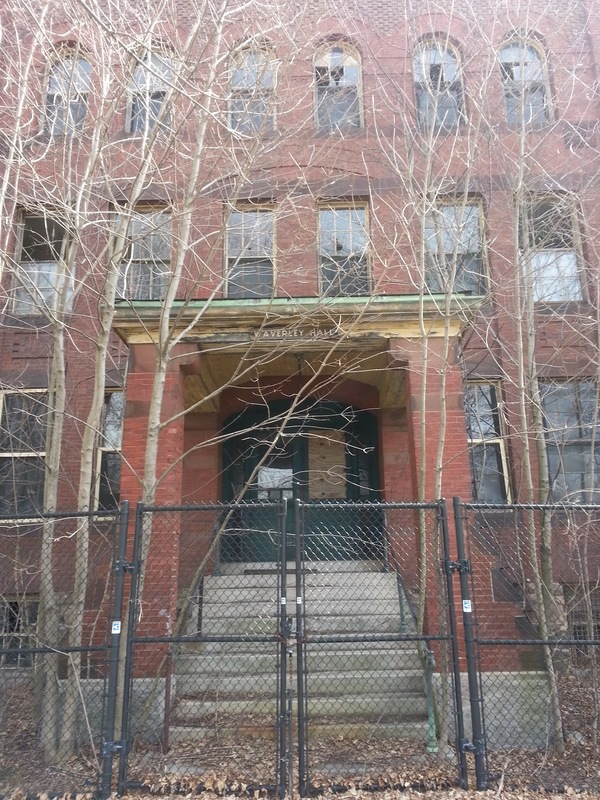 In August, East Brother shared with us his trip to several haunted sites in the city of Waltham, MA. 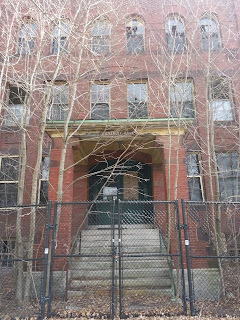 Joining him in the saddle of the K1200S, we toured the creepy remnants of several mental institutions as well as the grounds of a school and residential facility that is still actively serving residents, but is the site of one of the most haunted places in the Boston area. Just the thought of trekking back to the Fernald School is a chilling prospect. Our modern cars are also so filled with computers and electronic nannies that the modern automobile can now be easily hacked and taken over. Everything from opening car doors to forcing the car to drive anywhere but where the driver wants is entirely possible. Can you imagine driving along the road when suddenly your doors lock and the steering wheel seems to take on a mind of its own? It is like a ghost has taken over your car. Scary thought, is it not? There were innumerable close calls, including run-ins with total lunatics perpetrating road rage like nobody's business, near misses with wildlife while biking (damn those squirrels are crafty), and, of course, the death of common sense behind the wheel. Getting on any form of two-wheeled transportation was sometimes frightening enough on its own, with drivers today seemingly completely oblivious to their surroundings and hell bent on doing anything behind the wheel except drive. On a final note we just want to remind everyone to be safe, be courteous, and to never drink and drive. A few years ago, I had the good fortune to spend a weekend with the Mercedes Benz CLS55. This black bomber was a fist in a velvet glove. The sleek exterior combined with a comfortable interior, all on top of a chassis that delivered responsive handling and a motor with locomotive like pull. It was one of those amazingly fun experiences that you never want to come to an end. When the new CLA-class first made its appearance, I was hopeful that in copying the swoopy shape of the CLS, Mercedes had also deigned to deliver unto us a truly fun driving experience at a more affordable price point. There was some hope with the seemingly endless stream of accolades that Mercedes had garnered from the automotive press for the CLA45 that this new 4-door coupe would finally be more than just a well-groomed, but utterly soulless creature. Sadly, it appears that the AMG magic does not trickle down to the more pedestrian brethren. Back in May, I attended my first Cars and Coffee in the Boston area. As the fall foliage season comes into full swing, the car gathering season draws to a close up here in New England. Many of the cars we see at these events will get put away for the winter as the roads around here quickly become coated in salt when the temperatures start to drop. As a final hurrah for 2013, I took the K1200S to the final Boston Cars and Coffee scheduled for the year. It was a beautiful day and many people clearly had the same idea as attendance was good, with numerous cars out enjoying the good weather. Because of its location, on the grounds of the Larz Anderson Automotive Museum, there is not the usual chorus of high performance departures as there are at Cars and Coffee events in other parts of the country, but the idyllic setting and excellent company keep the enthusiasts coming back for more. Click past the jump to see a few select photos from the event as well as access the full photo gallery. The legendary Ortega Highway connects the coastal freeways near San Juan Capistrano to the desert highlands of the the city of Palm Desert, passing through the inland resort community of Lake Elsinore. Exit from the infamous Interstate 5 freeway and head away from the California coasts into a barren landscape, dotted with random bits of vegetation. Before long, you find yourself climbing and the greenery begins to get denser, until you are high up enough that the temperature has gotten a few degrees cooler, and the air is just a bit crisper. Having only ever taken this road at the helm of our family MDX during a detour on our way down to San Diego, I endeavored to return, preferably on two wheels, to make full use of its ample curves. Luckily, my time spent reviewing the BMW R1200GS presented me with the perfect opportunity, if not quite the perfect bike. Adventure bikes are not usually my thing. The weight does not bother me so much as the rather high center of gravity relative to a sport, or even a standard, bike. However, during my most recent trip back to the West Coast, I had the occasion to slip away from work for a day and take the gold standard of the adventure bike class, BMW's venerable R1200GS, for a full day test ride. I used the opportunity to cover a road that is popular with all sorts of riders, Southern California's famed Ortega Highway, but also spent plenty of time on it traversing the crowded suburban sprawl of LA as well as slicing through traffic as I split lanes between cars on the parking lot that is the 405 freeway during rush hour. MotoQuest, which provided the bike for the review, was extremely helpful and made sure that I had plenty of time to get acquainted and appreciate the genius that is this motorcycle. Getting a new car is always exciting. That new car smell, the shiny new paint, and all of those wonderful new toys to play with. Along the way, hands were shaken, deals were struck, and papers were signed, but one of the key decisions that many new car buyers struggle with is whether to finance their new purchase or lease it. Leasing has become increasingly popular as new cars have continually gotten increasingly more expensive and credit became increasingly easier to access. There are detractors of both methods, but paying for a large purchase, like a car, in cash is out of reach for most people and most buyers must find a way to finance their purchase. Both traditional loan financing and leasing have their own pros and cons and the conditions that suit each buyer's needs may lend themselves favorably to one versus the other. While this may not cover every possible variation, the goal is lay out some general guidelines to help you decide which path if the best for your needs. A little more than a week ago, a car fire occurred outside Seattle, WA. Seems like rather insignificant news, right? Car fires are a daily occurrence around the country and most people drive by them without so much as a second look, although most likely accompanied by some colorful language at the traffic congestion that is caused by the rubber-necking that occurs anytime flashing lights are seen. However, the fact that this car fire was the first involving a Tesla Model S someone warranted national news coverage. The Model S in question was damaged by a large piece of debris that fell off a semi-truck. The debris in question hit at such an angle and with such force that it punctured the extra thick metal casing that houses the battery, resulting in the cooling system for one battery compartment to fail, which ultimately caused the fire. With all the coverage, one would expect there to have been a fatality, or at the least severe injury, involved. Someone must have gotten hurt or something dramatic must have happened, right? Otherwise, why would we be holding this innovative new technology to a higher standard than the technology we currently have? Massachusetts is one of the oldest states in the US and has a tremendous amount of history contained within it. Some of that history dates back to the colonial era, with many Revolutionary War battlefields and monuments to visit, making it a great place to go sightseeing on a motorcycle. But of course, not all of that history is quite so illustrious. Salem, MA is a town that has a dark history associated with the infamous Salem witch trials. These proceedings, which often were done out of fear of the unknown, rather than a desire for justice, brought many lives to premature ends. It is believed that the souls of these individuals who met an early death may still haunt several sites around the city. With such a rich history, I could not resist the urge to hop on the K1200S and tour around this most notorious of Massachusetts towns. I want to start this review out by making it clear that I am not a big fan of the current Electronic Arts. With the recent set of faux pas including the botched Sim City launch, the Mass Effect 3 ending fiasco, and the failure that is EA's Steam competitor, Origin, there is a lot to dislike about EA these days. The only reason I have a copy of Burnout Paradise is because it was offered in one of EA's previous "Humble Bundle" sales. The "Humble Bundle" is actually a fundraising effort in which EA and Origin will sell you a pack of six games for any price you choose, with the proceeds going to five different charities. Luckily, all but one of the games can be unlocked through Valve's Steam service, which means not having to deal with the horrid service that is EA's Origin. It would seem that EA might be on the path to redemption with some gamers thanks to the Humble Bundle, but enough about my dislike of EA. 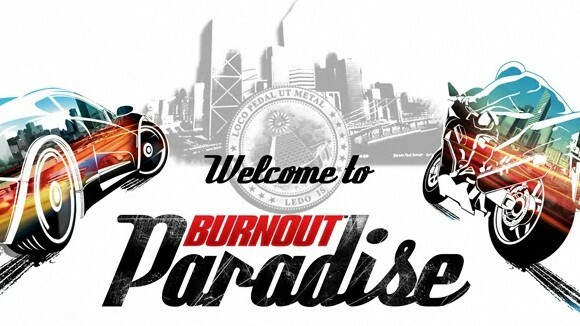 Let us get to the real purpose of this review: Burnout Paradise. Yes, Burnout Paradise is a bit old now as it was released about four years ago, but being a racing game, I could not help but write a review about it. I am not usually one to go for arcade style racing games, as I much prefer the realism of games like the Forza Motorsport series. After experiencing how much fun I could have with arcade style racing games after playing through Forza Horizon, I thought I would give Burnout a try. Last week, a video of an altercation in New York City between a group on motorcycles, affiliated with a Hollywood Stuntz event, and a family in a Range Rover emerged on the Internet. The video showed a bunch of squidly riders swarming around the black SUV, one of them intentionally brake-checking the driver. When a slight bump occurred, the reaction from bikers was to mob the SUV and physically assault the vehicle and threaten the driver and his family, causing the driver to panic and attempt to escape the situation, resulting in at least one serious injury. To further fan the flames, additional footage was revealed prior to the incident showing the motorcyclists all over the road, riding recklessly, and violating countless laws. Add to that the ultimate outcome of the altercation with the Range Rover, which includes assaulting the driver, and it is clear that these squids are nothing more than the undesirable dregs of our community. Such deplorable behavior from bikers, whether we like them or not, sullies the good name of those of us who are responsible motorcyclists. The fact that there has not been a unified refutation of these individuals from the motorcycling community at large is almost equally disheartening. Instead of condemning the actions of these delinquents, our tepid response simply allows us to be implicated as tacitly accepting such irresponsibility. Why would those of us who ride responsibly want to have any association with people who risk not only their own lives, but the lives of others, especially the life of a child? As motorcyclists, we want other motorists to respect us. We fight for our right to safely share the roads. We fight to get motoring laws changed to improve our safety. However, when we fail to speak out against behavior that makes us all look like thugs and criminals, we set those actions back and create more enemies who will fight against our common cause. If our goal is to make the roads safer and more enjoyable for all road users, we must be willing to not only to answer a call to arms when something bad happens to one of our own; we must also be prepared to leap to action when elements within our community commit transgressions that no sane person would stand for. If our goal is truly to fight for our rights as motorcyclists, we must recognize that criminal behavior is not only undesirable, but intolerable. While it may seem like nothing more than words, distancing ourselves from those people who commit such atrocities, who demonstrate such a cavalier attitude towards their own safety and the safety of others, helps other motorists to distinguish between those of us who are responsible riders that take everyone's safety into consideration and those selfish clowns who believe that they somehow are above the law. Let us draw a line in the sand at this incident and stop enduring those who sully our good name. Let us no longer stand idly by when members of our community commit reckless acts against other motorists. Let us vocally castigate and physically cast out those who believe that their egotistical self-gratification is more important than the safety of others around them. Please pass this letter to our fellow motorcyclists and encourage them to be more active in voicing their derision for the riders in this incident. If we wish to recruit more people to help our motorcycling cause, we must show that we are amenable to condemning the actions of those among us who create chaos. Picking a convertible can be a very emotional undertaking. You want to find something that is fun to drive, offers great flexibility, yet is not likely to to present too many reliability challenges. Recently, I did back-to-back tests of the newest entry to the luxury convertible class, the Jaguar F-Type, and the class standard bearer, the Porsche Boxster S. The Jag, with its sensuous shape and screaming exhaust system is a hot car and should serve as further indication that Jaguar is serious about a comeback after years of being relegated to the also-ran category. Its recent efforts, starting with the introduction of the XF sedan, the revised XJ, and now the F-Type definitely cemented Jaguar's place back in the minds of luxury buyers. However, is this new effort a good enough car to knock off Porsche, still one of the most beloved brands among car buyers in the US? Porsche's Boxster and 911 are frequently touted as being the ideal of what sports car owners look for in their rides, can the F-Type, which is aimed squarely between the two P-Cars, deliver a solid enough blow to keep it in contention? Update: See how the Boxster S performed head-to-head against the all new Jaguar F-Type V6S. Sometimes, you get into a car and it just feels familiar. Those sensations that you first experienced when you drove the various predecessors of such a car come flooding back and it only take moments to settle into a comfortable oneness with the car. Porsches, more than any other brand I have driven, seem to be able to capture that exact emotion. Heck, if you look at them, it seems that they are engineered around that concept, with the heritage of early 911s still clearly evident in even the latest model. Even the less expensive Boxster exhibits this character. I first drove a first-generation Boxster many years ago and even back then, the car was hugely impressive and really set a new bar for performance from convertibles. When I finally got around to testing this latest version, I was pleased to discover that this Porsche absolutely lives up to expectations. However, the competition has gotten significantly better in the more than a dozen years since the Boxster was originally introduced. So is the Boxster still king of the performance heap?